No matter how experienced a traveller one is, there will always be a need for expert advice be it from a curated guide, friendly local or an informed concierge. What if you had all of that right in your pocket? That epiphany is what drove Caitlin Zaino to establish Porter & Sail—a digital travel concierge that offers a new way of planning itineraries, booking stays and experiencing hotels. “Every industry has been completely disrupted by technology and when we looked into hotels, it was mind-blowing how it was decades behind. It was like 1999 in 2014. That became an incredibly exciting opportunity to define, create, and architect new experiences in a virgin space,” shares Zaino about the moment she realised she was onto something. Porter & Sail launched in New York in 2015, presenting itself as an answer to "how we travel now". Currently, it represents a roster of stylish properties including Nobis Hotel in Copenhagen and Warehouse Hotel in Singapore and has partnerned with Design Hotels to provide added value to their savvy members. Porter and Sail aims to be a trusted travel companion that makes the most of technology’s nature—seamless, on-demand, connected. 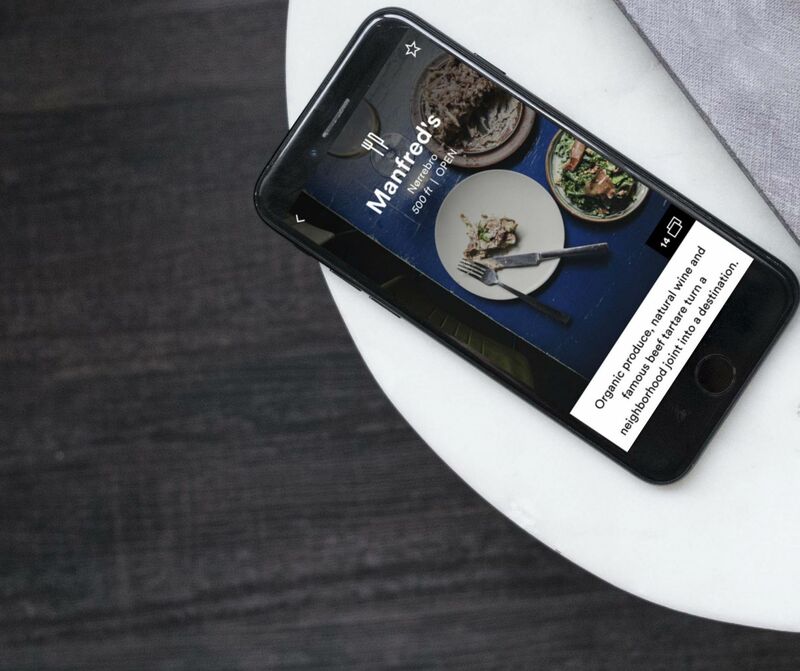 With the app, travellers can open the door to their hotel room, make a restaurant recommendation and book an Uber. Recognising the universal need for a single platform that centralises these tasks, it has recently expanded into Asia Pacific with an office base in Singapore. “We aim to replicate the Ralph Fiennes character (the conceirge) in Wes Anderson’s The Grand Budapest Hotel. It’s the concierge that takes you on his Vespa to hidden nightclubs or that opens the door to the coolest gallery in town. Those unexpected and authentic experiences are what anchor a journey and stay with you forever. If we can deliver that to every guest through our platform, then that’s a win," says Zaino. Caitlin Zaino (CZ) Berlin to visit Design Hotels. I’ve been to the city a million times and always find something new to uncover. There’s a great energy there that’s always inspiring to tap into. CZ Switzerland to visit family and ski. CZ Hotels… and I’m not just saying that to be on brand. I love someone else making my bed, I love toiletries, I love an excessive amount of pillows. Nothing is more relaxing than hotels for me. It’s a chance to live the life I want. CZ Breaking fast during Ramadan with hotel staff on the roof of a riad in Marrakech with the sound of prayer bellowing through the city. It was beautiful and spiritual and so ingrained in that place. It was a glimpse into a culture I hadn’t known before. CZ I was recently kicked-off a Delta flight for a bogus and erroneously applied safety issue. I was traveling in business class with my toddler son, alone and pregnant, and I was told I had to move to economy due to an infant safety issue. I opted to get off the plane, only to then learn there was no FAA restriction on flying with an infant-in-arms in business class. I was rebooked—in business—on a much later flight. My luggage was 24 hours late, my son got sick, I lost my ID, and the rest of the trip was a total bust. CZ The South of France. CZ Molton Brown, my Macbook, and a sleep mask. CZ Work... or the New York Times, when available. CZ My son, Julien. He’s totally down for anything and it’s all wildly exciting for him. CZ Plan in advance so you don’t miss out on the extraordinary spots that you need to dig a bit deeper for, but then leave enough free time in your itinerary to find the unexpected. CZ No alcohol on the flight, drink copious amounts of water, and get as much sleep that first day or night as you can muster. Porter & Sail has recently expanded to Asia Pacific with member properties in Tokyo, Bali, Phuket, Sydney and Singapore. For more information, visit their website.